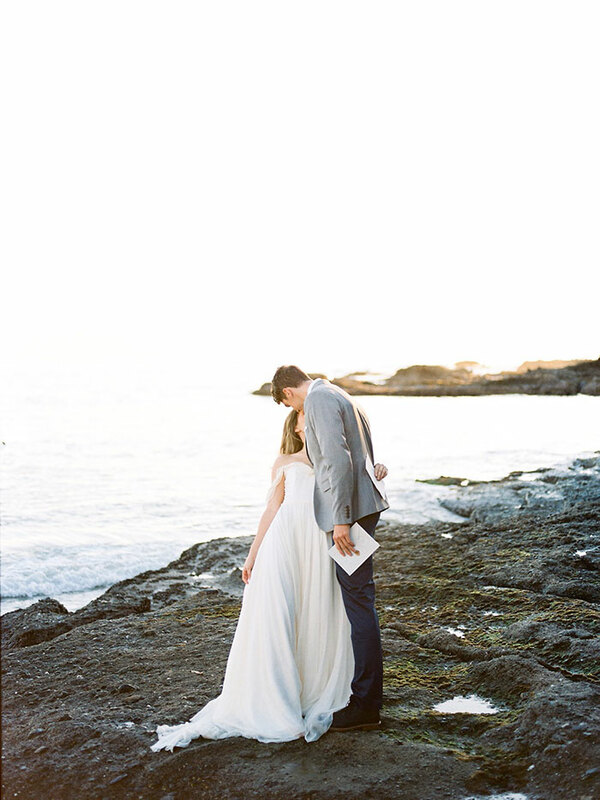 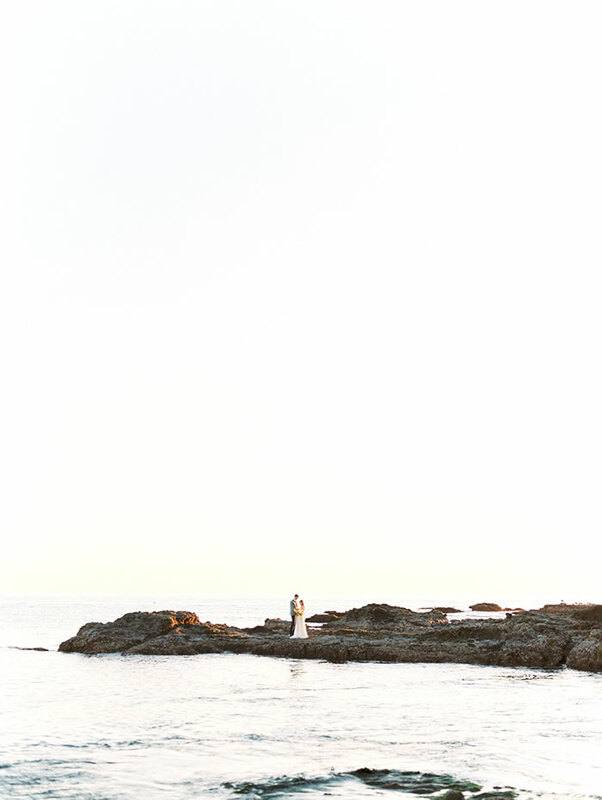 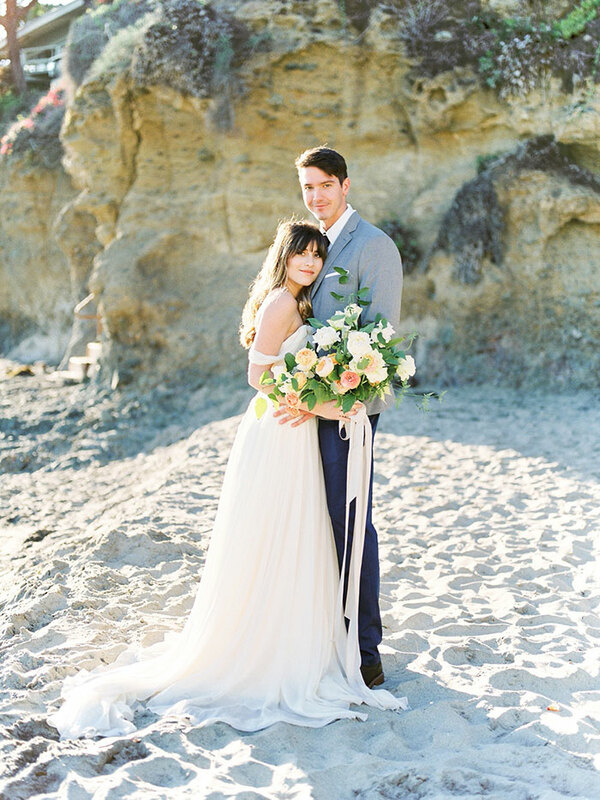 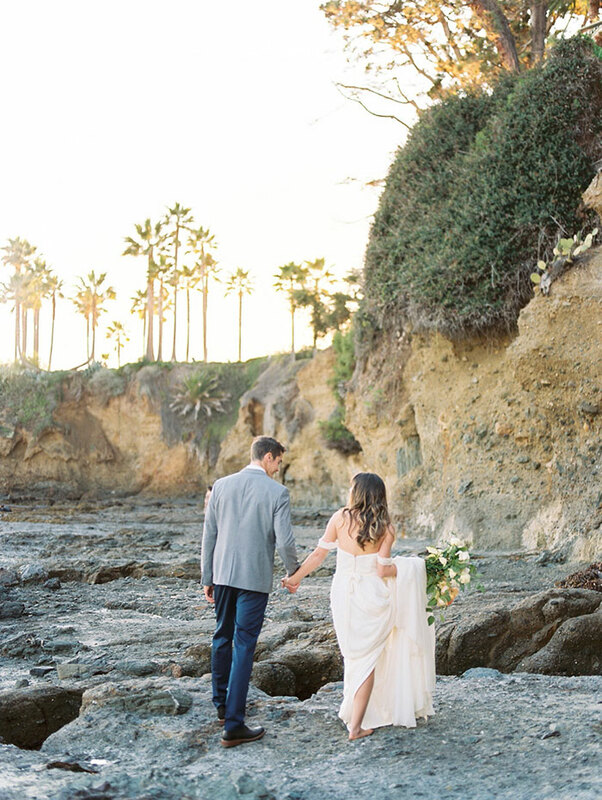 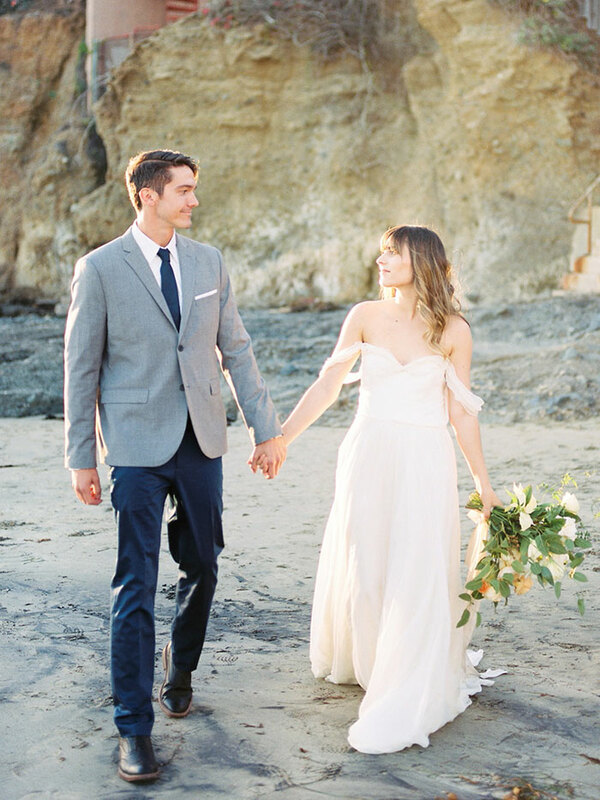 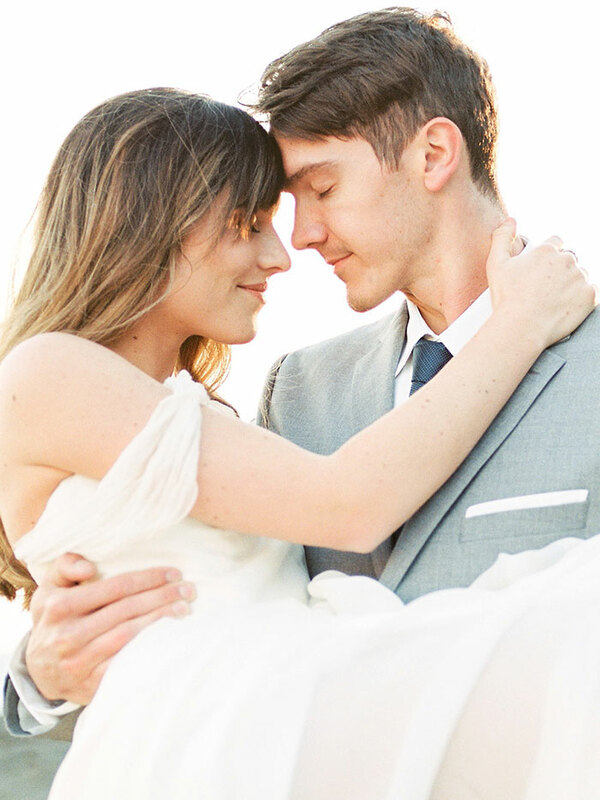 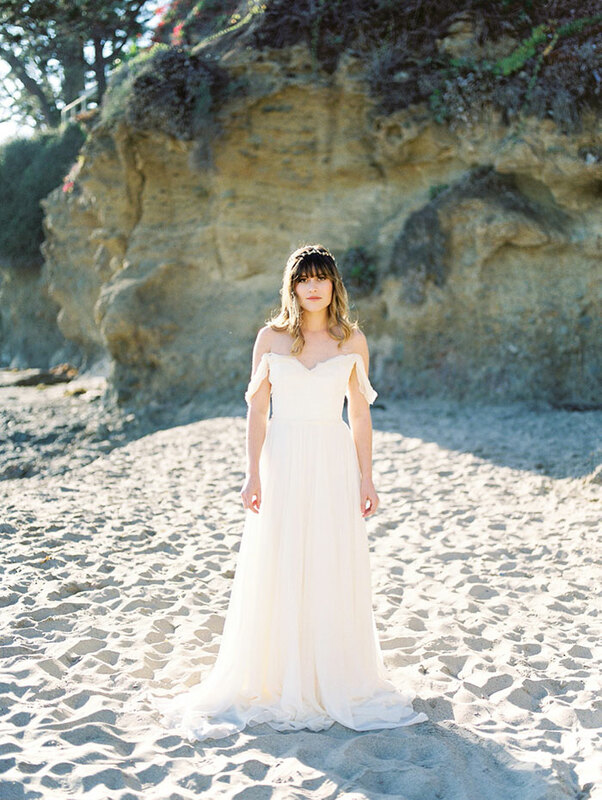 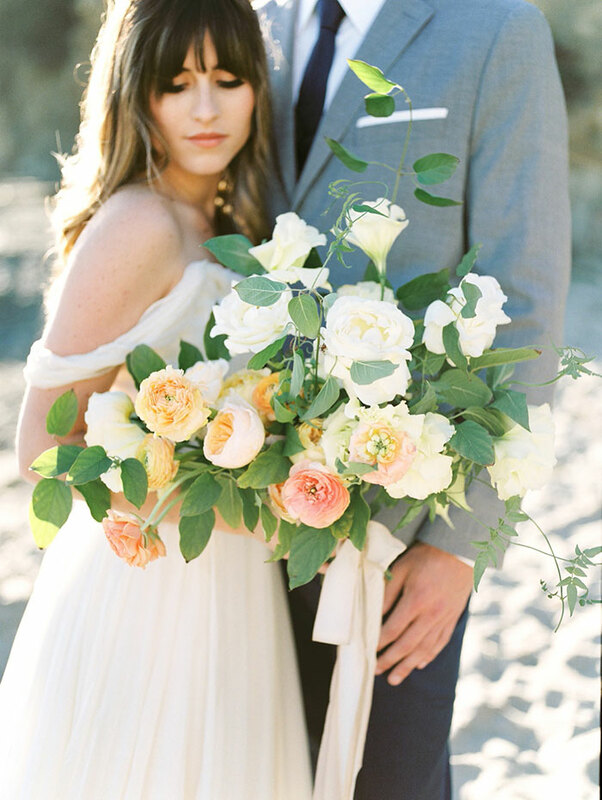 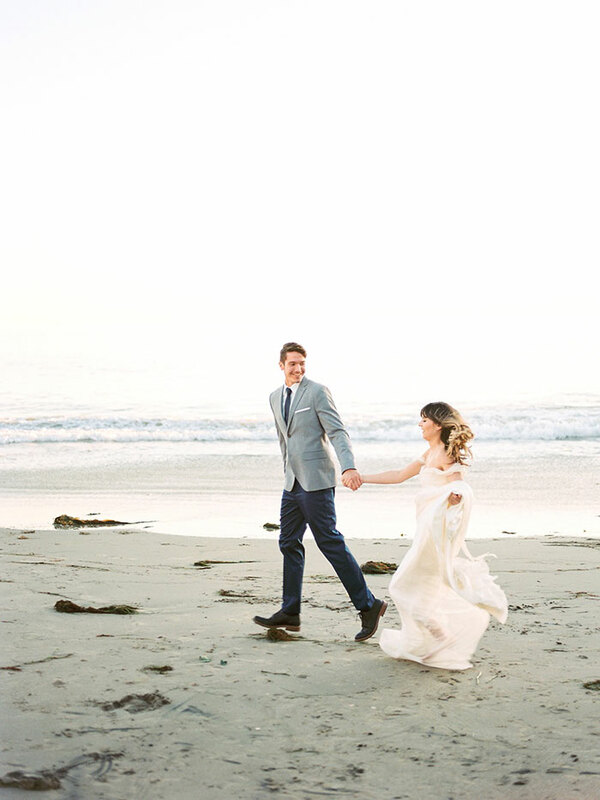 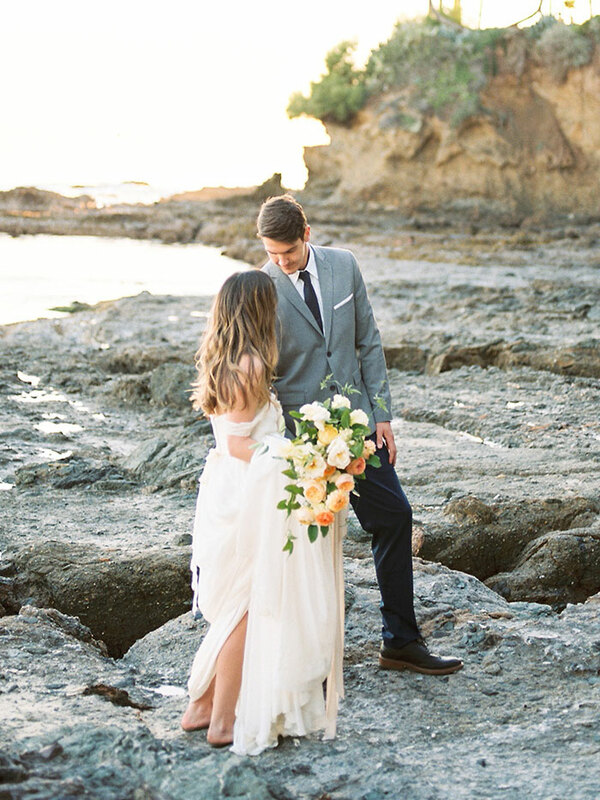 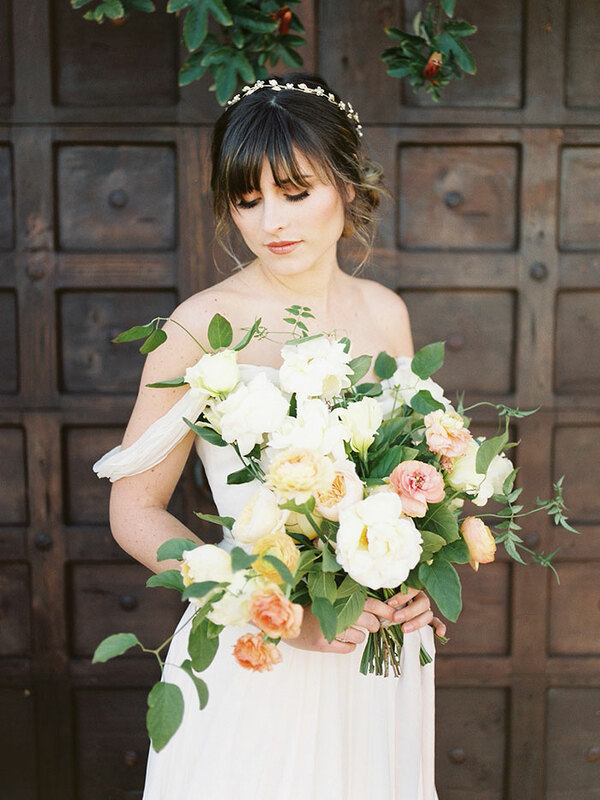 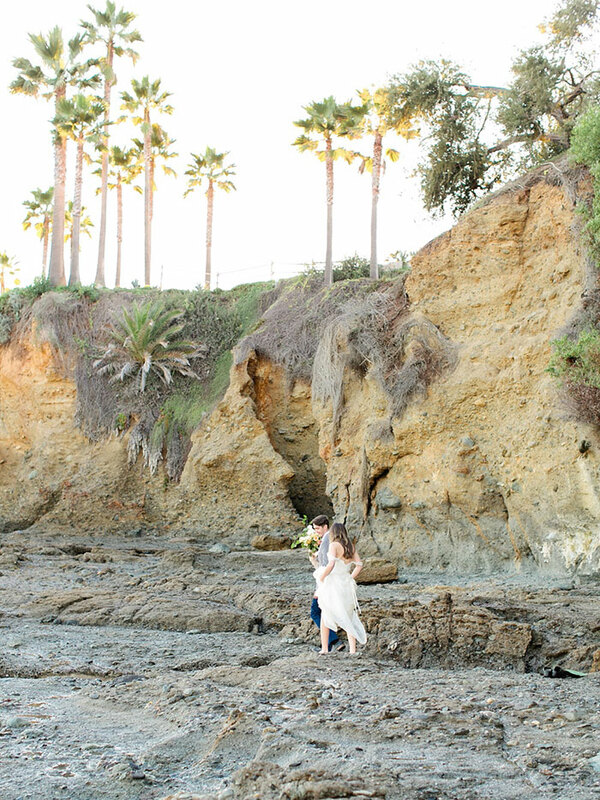 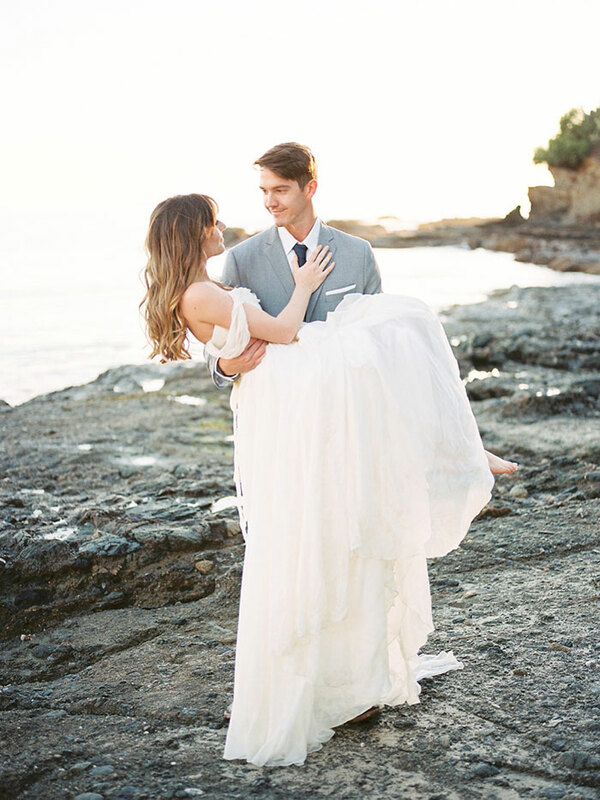 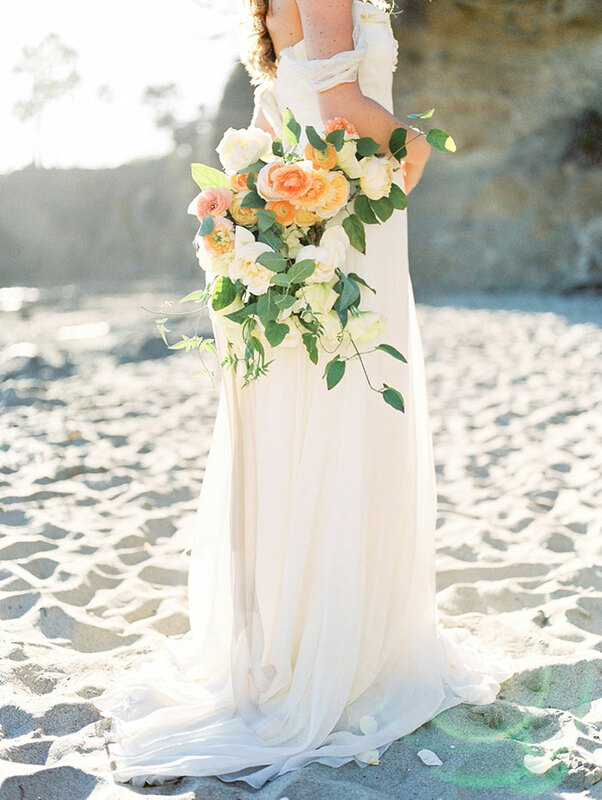 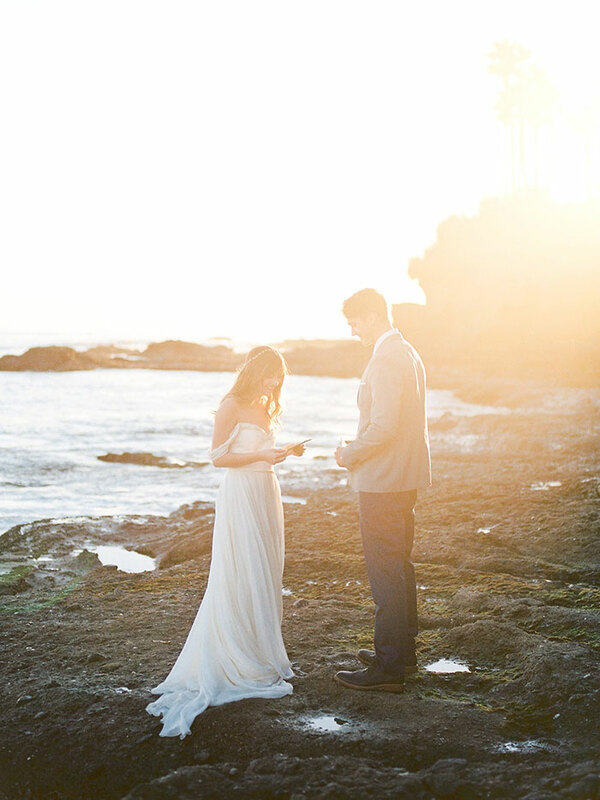 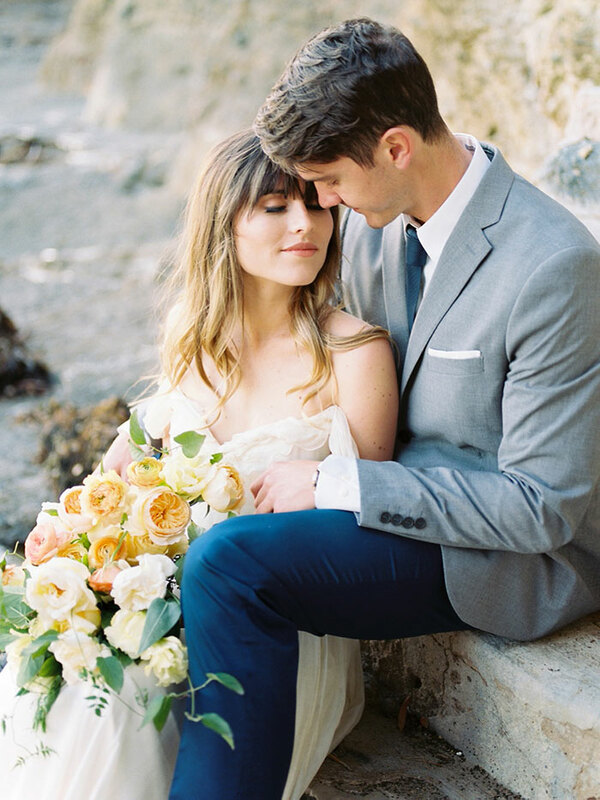 You guys, this beautiful elopement shoot from Callie Hobbs Photography is beyond dreamy. 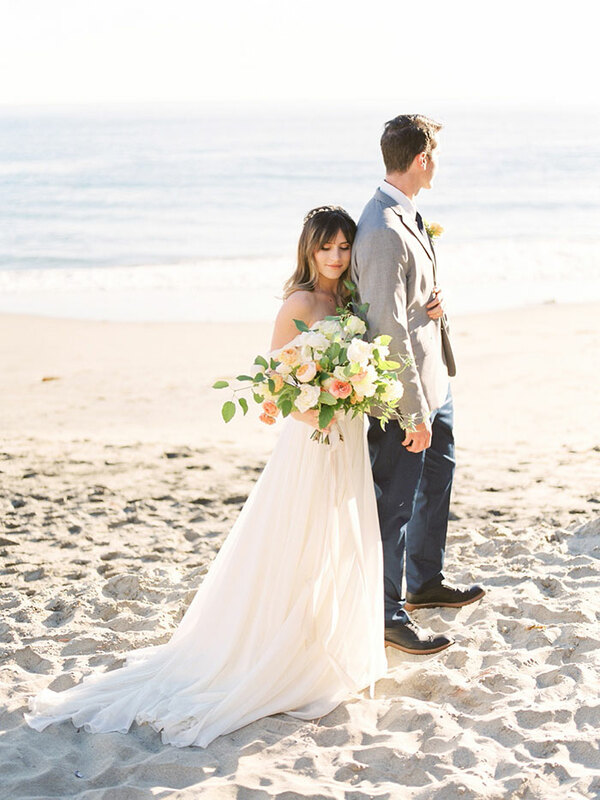 Capturing the majestic light of the California beaches, the team created a look that’s organic, timeless, elegant and totally relaxed. 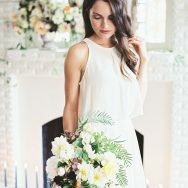 The bride’s look is natural and romantic with a silk chiffon wedding gown with draped sleeves, designed by Leanne Marshall, and a petite yet elegant gold headpiece. 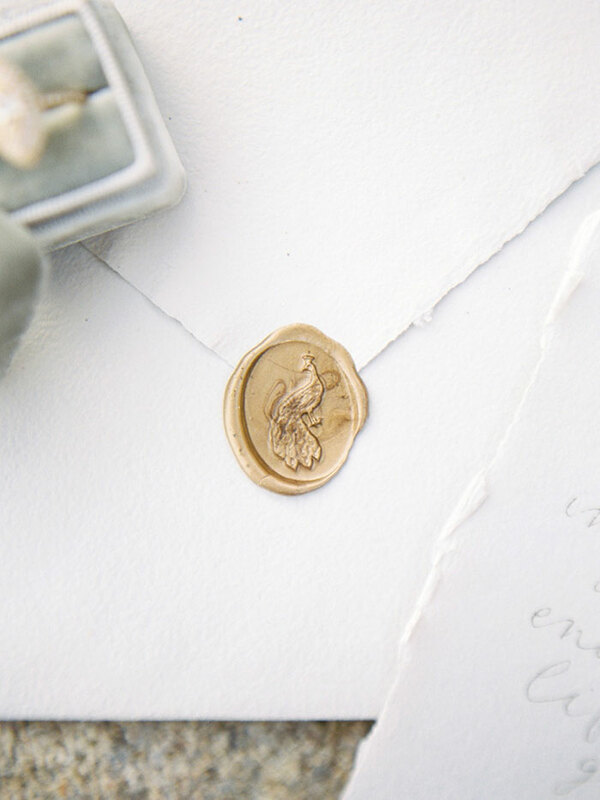 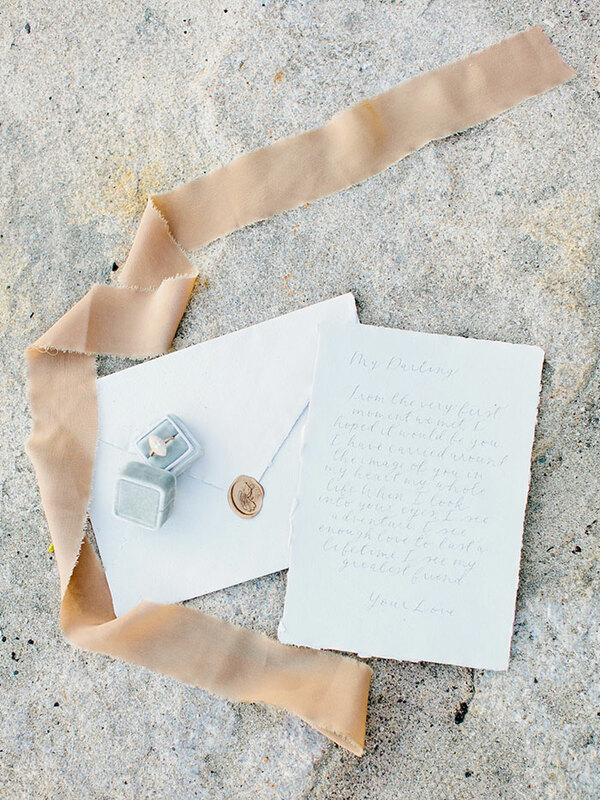 Flourish Calligraphy produced a simple love note with delicate hand lettering on handmade paper with bronze wax seal. 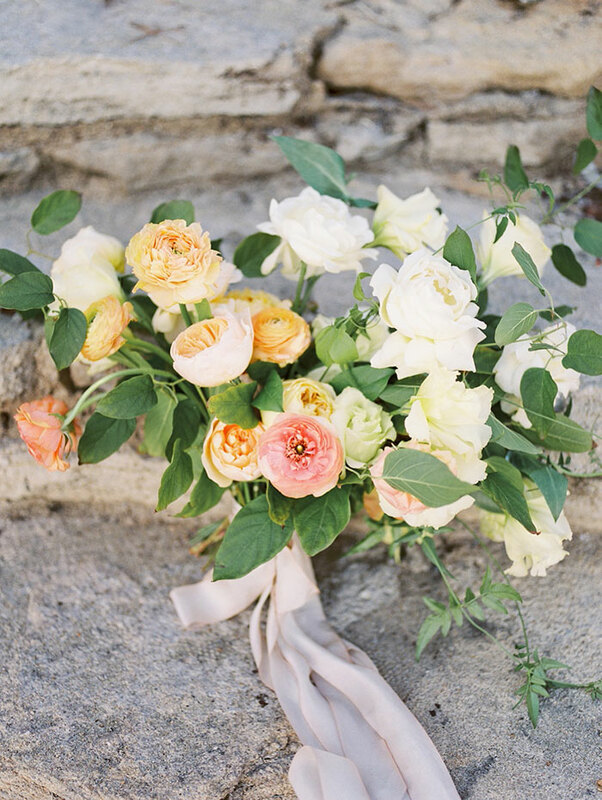 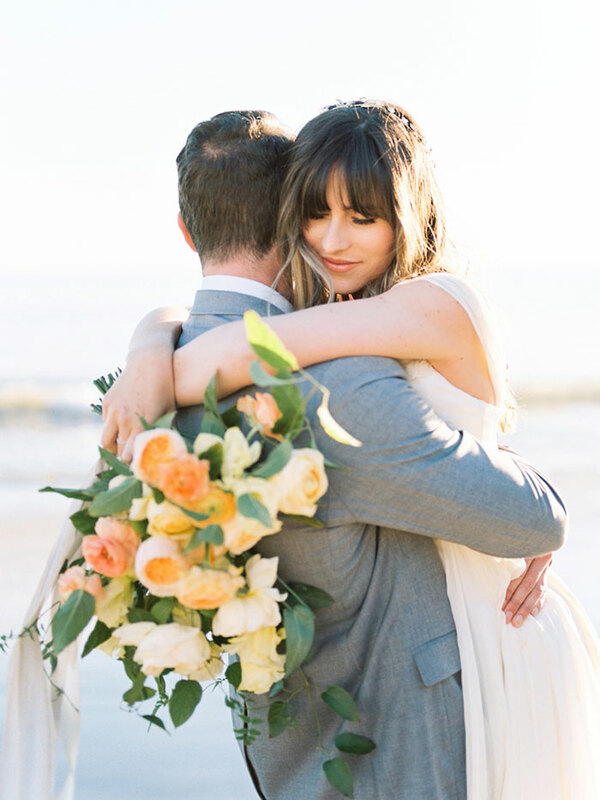 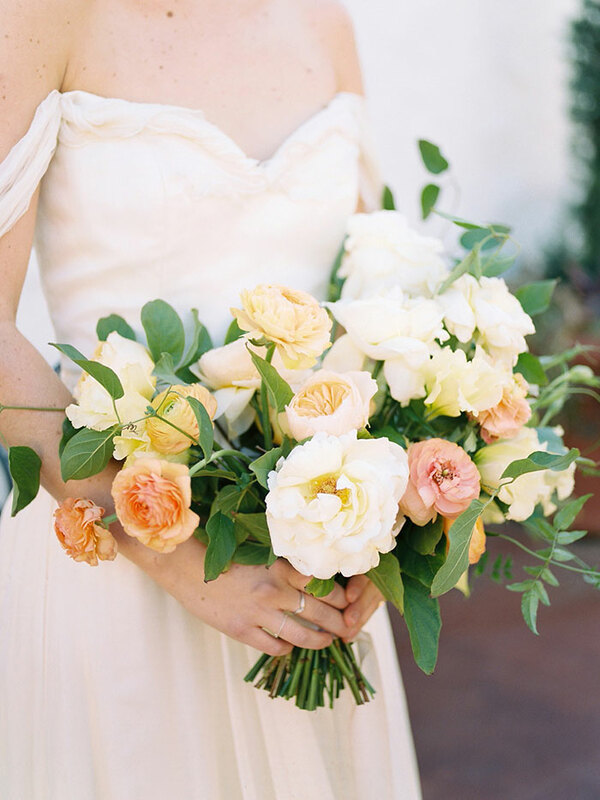 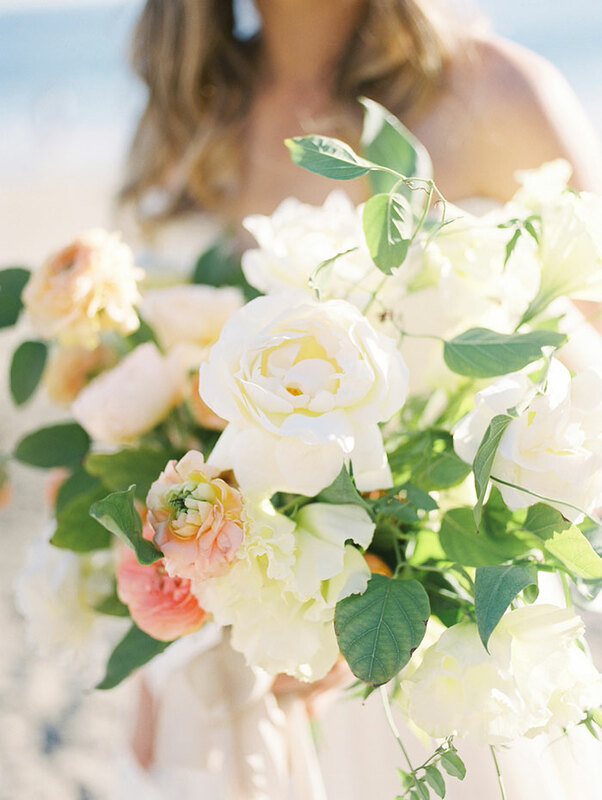 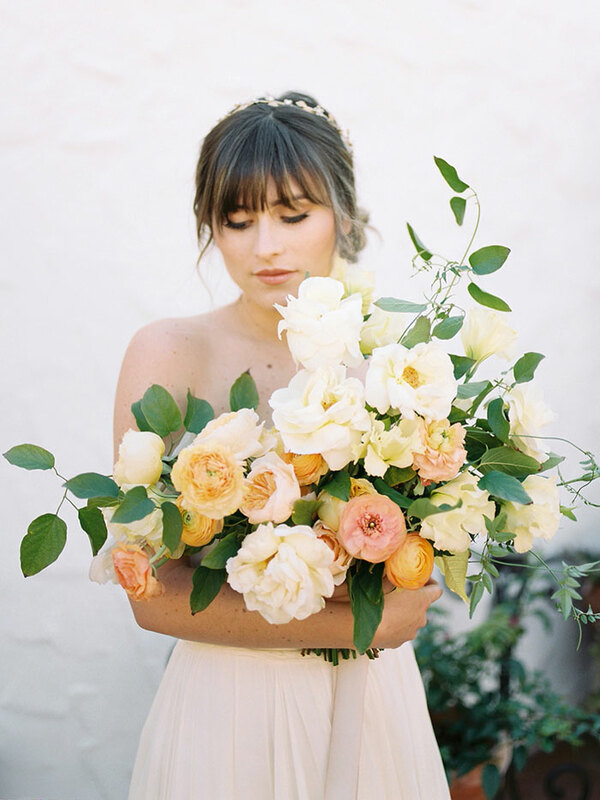 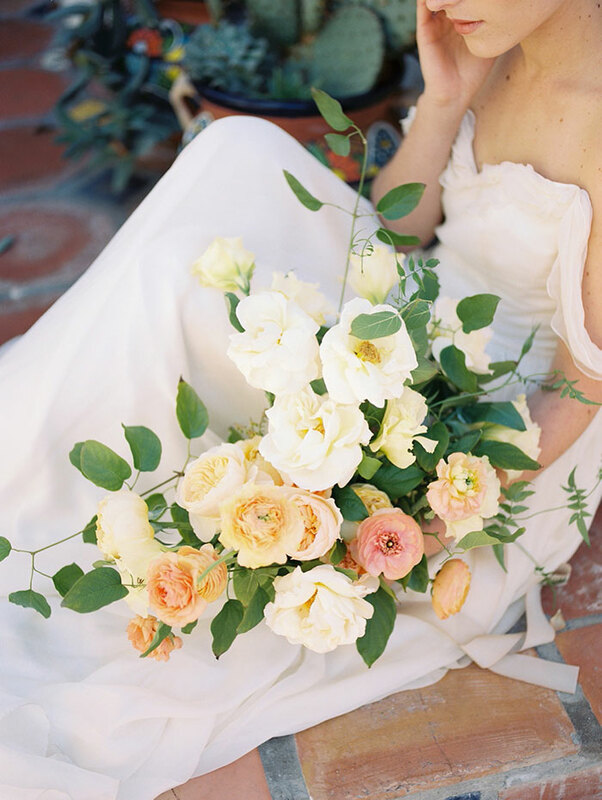 And last but not least, the romantic bouquet by Siloh Floral with citrus toned blooms and vining greenery seems to capture the warmth of the setting sun. 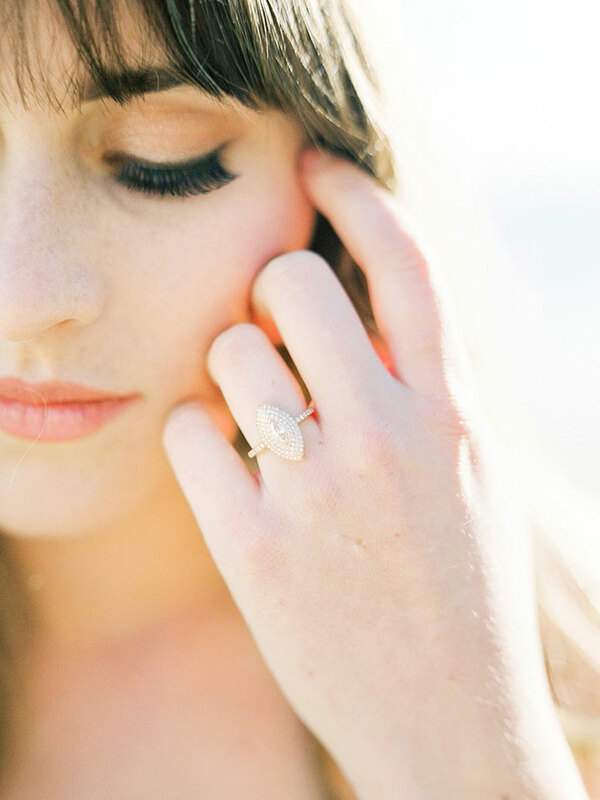 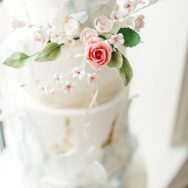 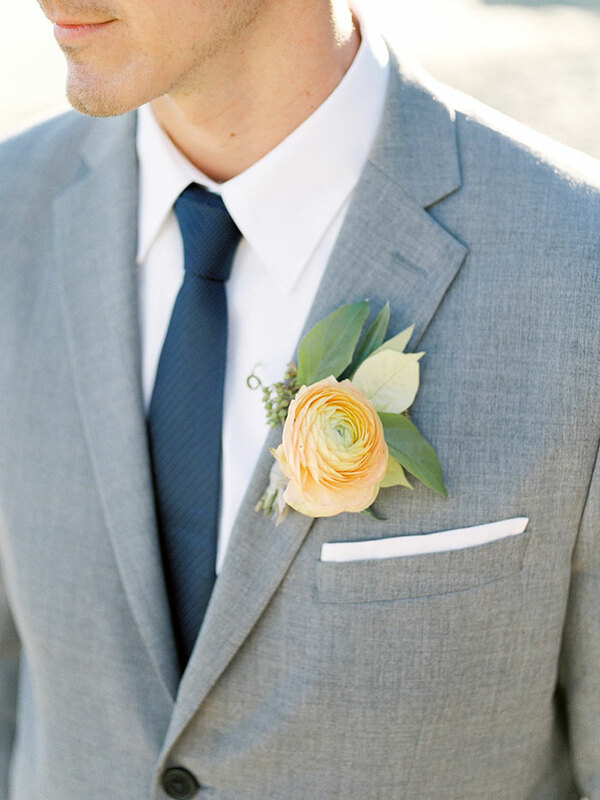 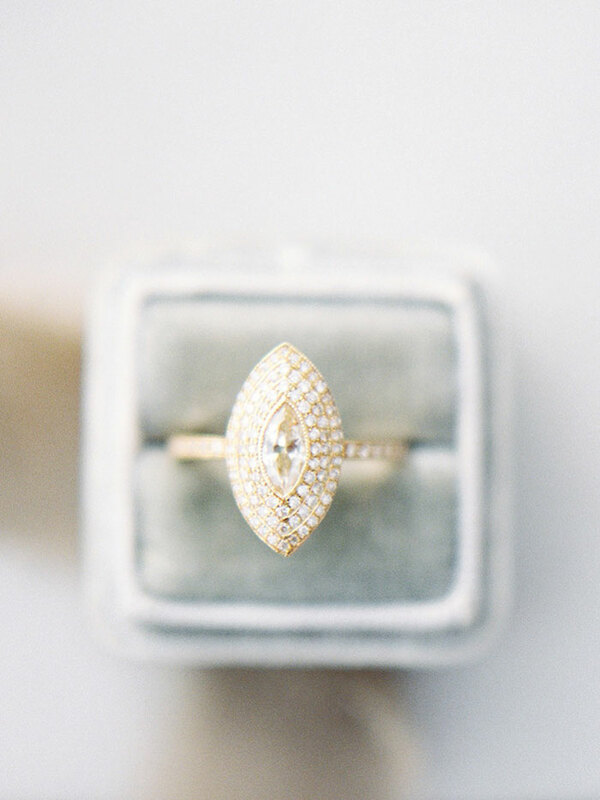 Check out all the details is these gorgeous images by Callie Hobbs.